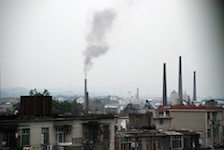 The skyline of Jingdezhen with smokestacks of kilns. 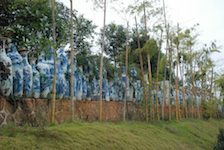 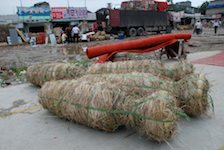 Pots wrapped in straw for shipping in the Jingdezhen porcelain market. 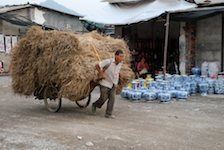 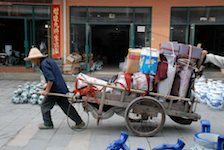 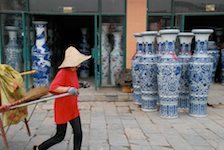 Bringing more straw for pottery wrapping at the Jingdezhen porcelain market. 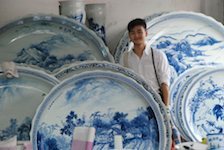 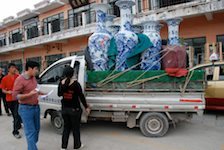 Truckload of big vases at the Jingdezhen porcelain market.